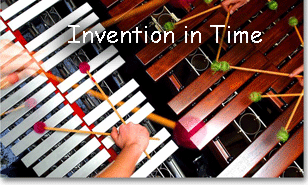 Two well known and creative Melbourne musical acts, Invention in Time and Fine Blue Thread will be performing at distinctive Melbourne venue BMW Edge on Sunday August 15th in celebration of Invention In Time's new CD "Falling By Design". Don't miss this special event - discounted pre-purchased tickets are available below. Fine Blue Thread will be performing in the Soul Food series at the State Library. Fine Blue Thread will be performing in the fantastic mudbrick St Margarets Hall in Eltham. 2 x 45 min sets, cakes and refreshments available. ​Fine Blue Thread will be performing at the Quiet Music Festival on Sunday 2nd May. Performing a 45 minute set in the beautiful Griffin Studio. Many other great acts are also on this day, see the ticketing site below for full details. Incinerator Arts Complex. 180 Holmes Road. Moonee Ponds Vic. Fine Blue Thread will be performing in the Cartlon Courthouse for the Musica @ La Mama series. Entry price includes hot drinks & homemade nibbly treats. Theatre Bar open for drinks from 7pm. Bookings advised as seating is limited. Ph: 9347 6142. Box Office open from 7pm, for 7.30pm concert start. 349 Drummond Street (near cnr of Elgin St, by Safeway's Carpark), Carlton. Fine Blue Thread will be performing in the fantastic sounding Northcote Uniting Church with Shakuhachi player Anne Norman. ​Northcote Uniting Church. 251 High Street. Northcote. ​ABC Radio National and Multicultural Arts Victoria presents Fine Blue Thread performing in The Elisabeth Murdoch Hall at the Melbourne Recital Centre. Widely acclaimed as Australias best venue for sound this will be a great show. Also performing at this event is Zulya and the children of the underground. 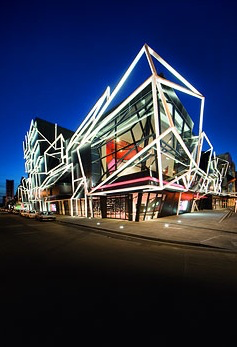 Fairfax Studio, The Melbourne Arts Centre, 100 St Kilda Rd, Melbourne. 20th November 7:30pm $12/15 at the door. ​Bellingen Global Carnival, Bellingen N.S.W. ​Knox Arts Centre 'On The Move' Festival Tent. Wednesday 22 October. 1 pm. ​The Famous Speigeltent, Sydney Opera House Forecourt. $30/$25. Purchase tickets online through The Sydney Opera House.